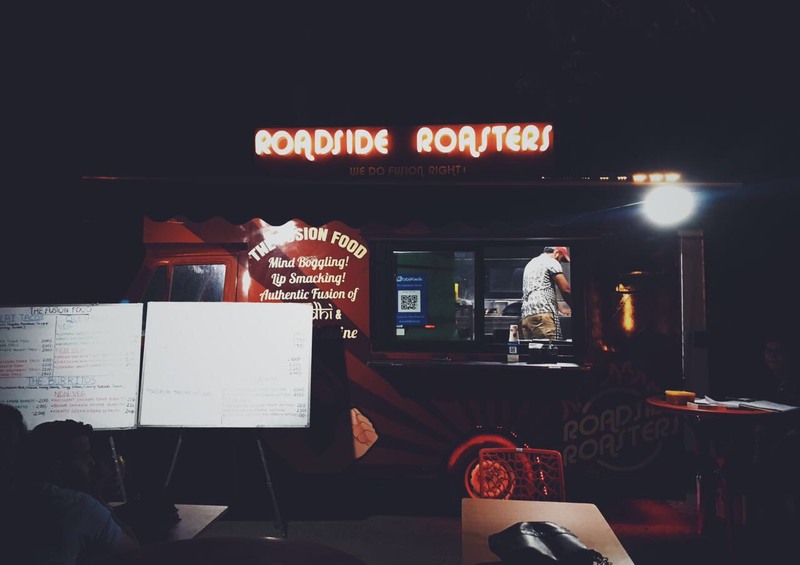 Roadside Roasters is the newest kid on the food truck block in Gurgaon. 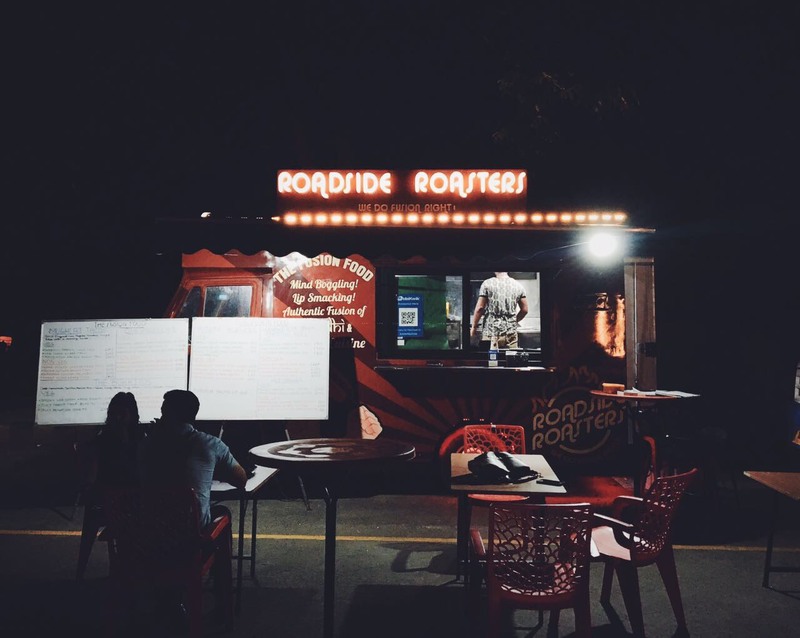 Food trucks are not a novel concept in Delhi NCR anymore, with over 30 of them operating out of Sector 29 itself, and most of them thrive because of the basic fundamental the cluster of food trucks work on - a family of 4 can all get what they want simply by flitting from one food truck to another, and end up providing a variety that most restaurants wouldn't be able to match. 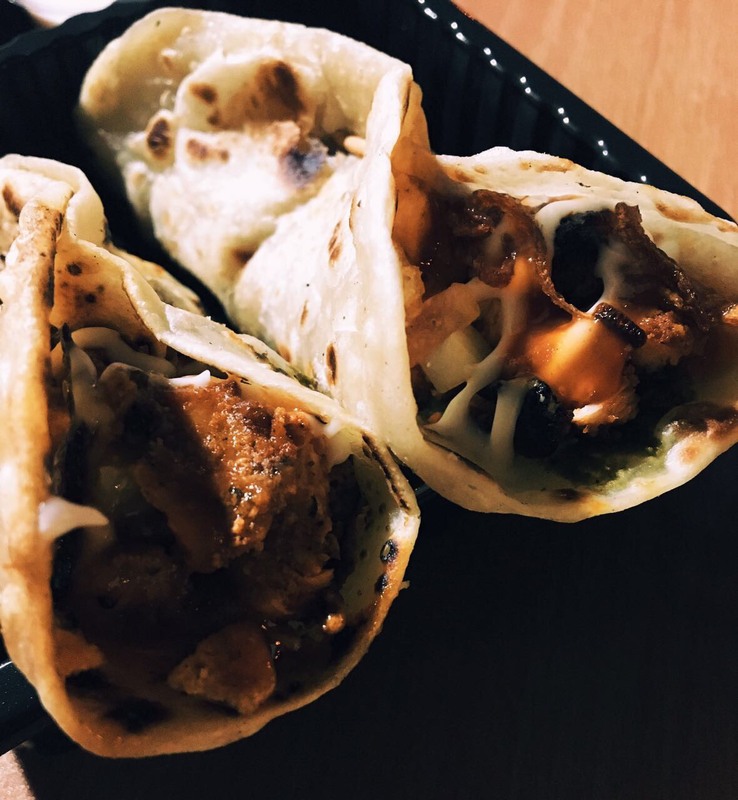 The hand pulled chicken tikka tacos should definitely be high up on your order list. 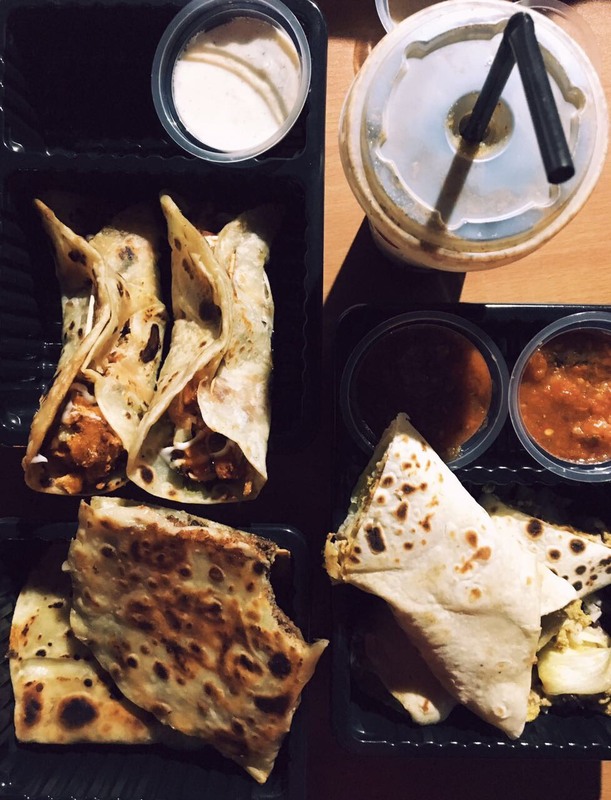 The classic flavour of chicken tikka goes well with the sweet undertones the taco gives, and the tacos stick true to their soft shell nature with the Mughlai parathas they come in. 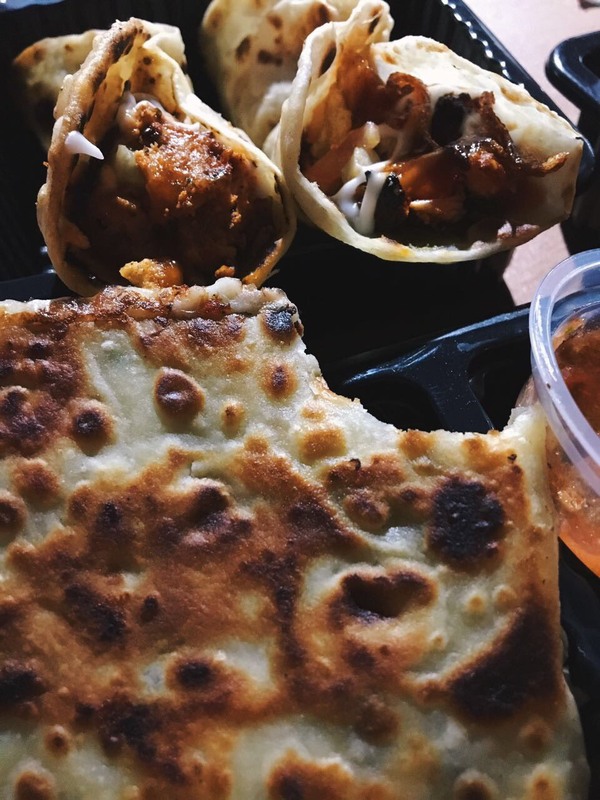 Next up on the list were Lucknowi galouti kebab quesadillas, which were everything they sound like. Cheese and galouti mince in soft ulta tawa parathas - what can really go wrong, amirite? The tzatziki + salsa dips accompanying the dish add to the flavour dimension rather nicely as well. 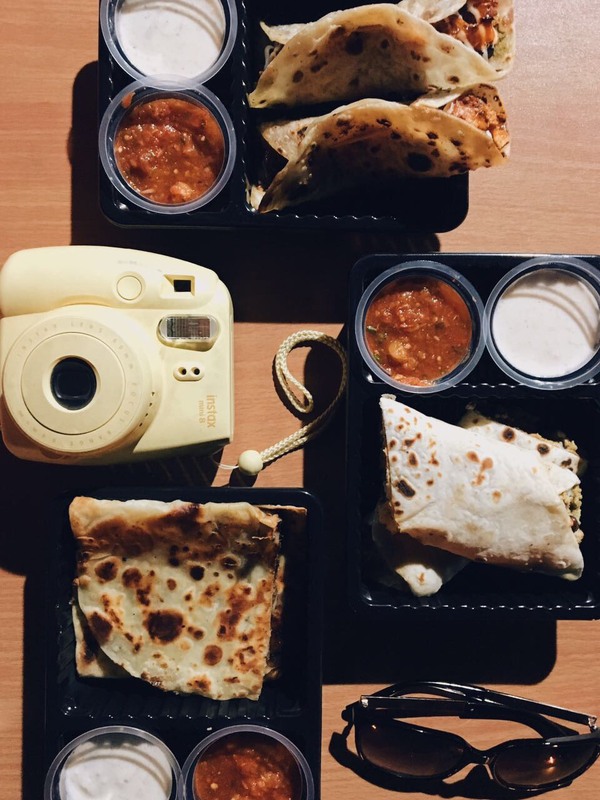 The last item we got were the chicken tikka burritos. With lettuce, rice and beans, the burrito tasted decent but could definitely be skipped in favour of some of the other items that looked fairly enticing on the menu - like the Paneer Tikka Roll, Juicy Chicken Kali Mirch Burger, Triple S Seekh Kebab Burger (saucy-smoky-spicy, in case you were wondering). Don't forget to wash it all down with a glass of Masala Thums Up! Full time potato enthusiast, part time hug dealer. 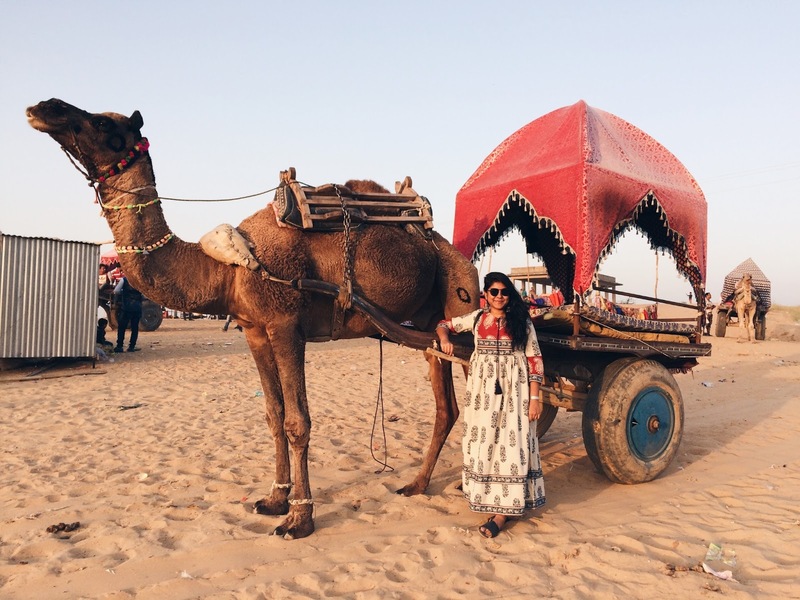 Expect to see her often in Sequins & Sangria's Gurgaon adventures. 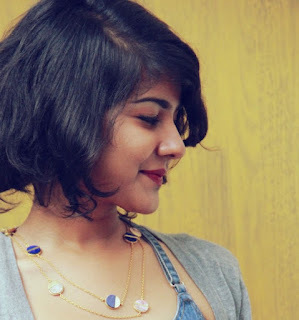 You can also find her on Twitter and Instagram.